Since starting this blog in 2016, I’ve written posts recapping my year (with 2016 and 2017 here). From writing these types of posts, I’ve found them to help me reflect on the entirety of the year that’s passed. Not only that, but also they’ve helped me to move forward, learn from mistakes made, and overall to improve myself. It’s somewhat therapeutic, and I’ve enjoyed writing them at the start of each new year. Despite 2018 being a tumultuous year (which you can read more in detail in this post), I learned a great deal about myself, more than I ever did before then. From becoming more moderate in politics to desiring a career change, 2018 was the year of realization, learning, and growth. I was also really happy to have traveled so much this year– in fact, I spent 10 months of the year going somewhere, whether domestic or international. It’s probably one of my most productive travel years since 2016, and I got to check off a substantial amount on my bucket list. Hopefully, I hope to continue traveling just as much this year, if not more! Without any more rambling, here is a month-by-month breakdown of my 2018. Brace yourselves, as it will be extremely long. Enjoy nonetheless! I was still on my two-and-a-half-month break between fall and spring semester of teaching, so I continued traveling. A few days after celebrating New Year, I headed to Paris for a few days. I Couchsurfed with an incredible family and besides enjoying the French capital again, I also took a day trip to Amiens. It was a pleasant stay, and I’m always happy to return to Paris time and time again. From Paris, I headed southwest to Toulouse for another few days where I visited a friend. I also revisited the city and found myself falling in love with it– I hadn’t been so taken the first time I visited but now, I can say that Toulouse has captured my heart. Also took day trips to Carcassonne and Albi, which were absolutely charming. I hope to return to Toulouse sometime again this year! I returned home to the Lyon region for a few days before I headed out again, this time to Central Europe where I revisited Budapest and Prague. 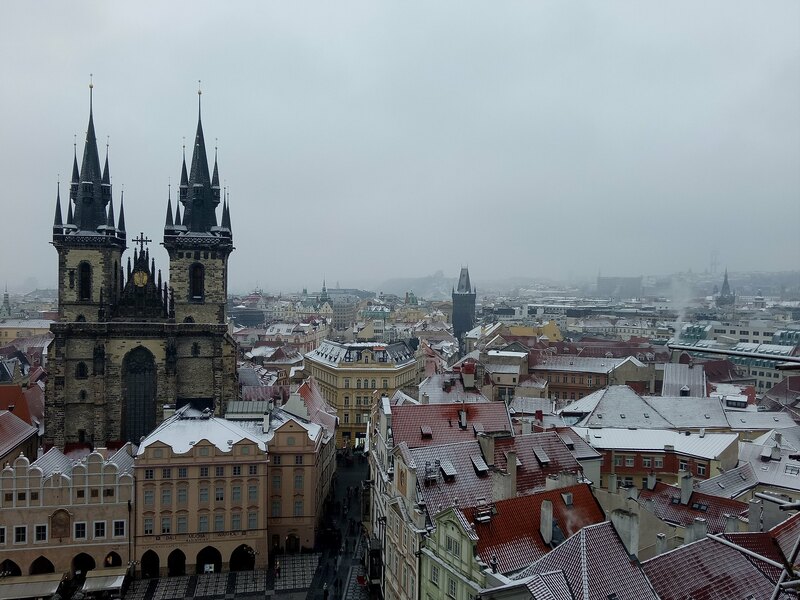 I gave myself plenty of nights to explore both cities: I partied in Budapest and slowed down in Prague (to recover from Budapest), where I spent more time sightseeing. I took day trips to Karlovy Vary and Olomouc for a further glimpse into the Czech Republic. Overall, the month of January saw plenty of traveling, as I wanted to enjoy myself as much as I could before I started my spring semester of teaching at the end of the month. Really glad I did that! The month of February was probably my least-favorite month in 2018. I started my second semester of teaching, and within weeks, I was already counting down the weeks until it would end. I was having difficulties with my classes, whether it was with attendance, discipline, and overall respect. It was also my first time dealing with first-year students, which was really difficult: the amount of disrespect was appalling, and it really discouraged me from teaching. The dreary, bone-chilling weather didn’t help either. I had a week-long break from work, but I ended up staying at home in France. At first, I’d thought it’d be a good idea to stay and save some money, but it turned out to be quite miserable. While I did do a couple of hikes in the region, I otherwise stayed home and vegged out on Netflix and wine, which didn’t help with my growing unhappiness. I should’ve just spent the money to travel, which I plan to do with the February vacances this year. The unhappy sentiment trickled into March, although not as bad as in February. I was able to get away for a long weekend towards the end of the month to Avignon, where I visited a friend and celebrated my 25th birthday there. I hadn’t been to Avignon since 2016, and revisiting it was absolutely lovely. It was sunny, for the most part, compared with the gloomy skies in the Lyon region. Although the stay was brief, it was a much-needed getaway to boost my morale when I returned to teaching after the weekend. After a couple more weeks, I ended my semester with the first years. I gave their final exams at the beginning of the month, and I was incredibly relieved to be done. Granted, I still had a few more weeks with my second years, but I knew that it would soon be over. Things looked up in April, as I made a *semi-spontaneous* decision to go to Paris for my week-long spring vacances. My parents happened to be in Paris the week I was off, so I was with them at that time. We explored the city together, and I also had a couple of days on my own to do what I wanted. Weather was incredibly sunny and warm that week, which I fully relished. The city was absolutely blooming in the spring, and I felt rejuvenated in the end. 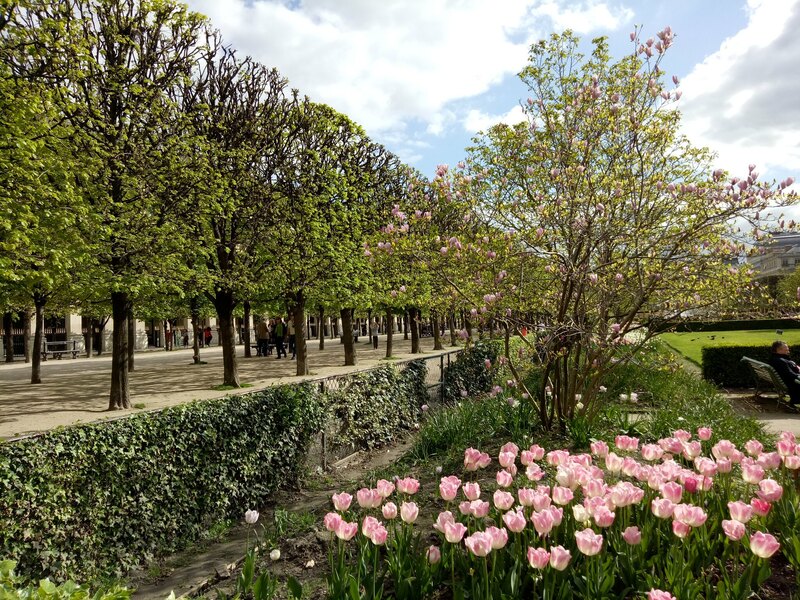 Jardin du Palais Royale in Paris (April 2018). Final exams for my second years took place the second week of May– after that, I was free for the summer! After three or so months of teaching, I was so glad to be done with my first year as a lectrice. Between the time I ended spring semester and rattrapage in June, I had my second wave of *epic* traveling for the year (after January’s). I spent the first half of my travels in Iceland, which I’d wanted to visit for a long time. I based myself in Reykjavik for about a week, using it to get to other parts of the country via paid tours. Besides exploring the capital, I also hit the Golden Circle/Blue Lagoon, the southern coast (Vík), and Snaefellsnes Peninsula. Gorgeous landscapes and gorgeous waterfalls, Iceland didn’t disappoint, and I’m glad I visited. The second half of my trip was to the Balkans: while Iceland had been chilly, the Balkans were incredibly warm: I visited Croatia (Dubrovnik, Split, and Zagreb), as well as took day trips to Plitviče Lakes, Montenegro, and Bosnia & Herzegovina. 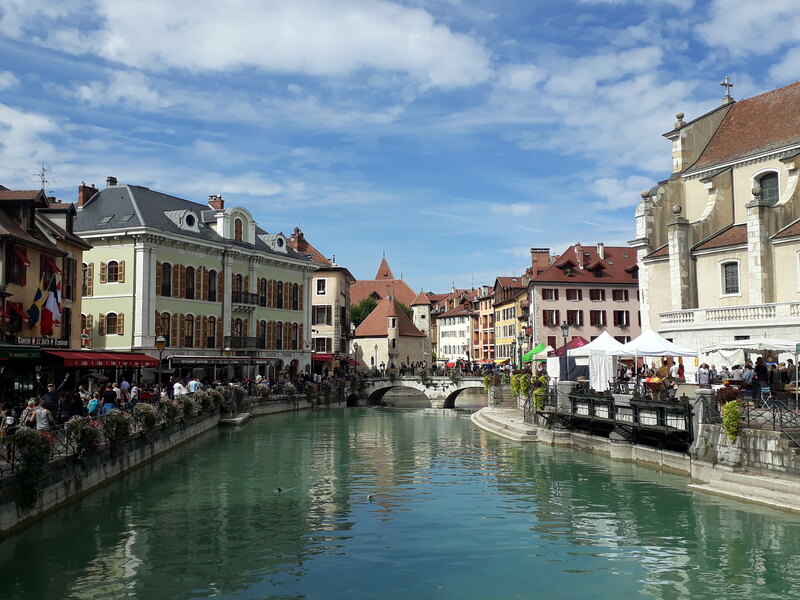 Plenty of pristine beaches, good food, history, and parties in-between– really enjoyed them all, along with brief visits to Ljubljana and Venice before I headed back to France. 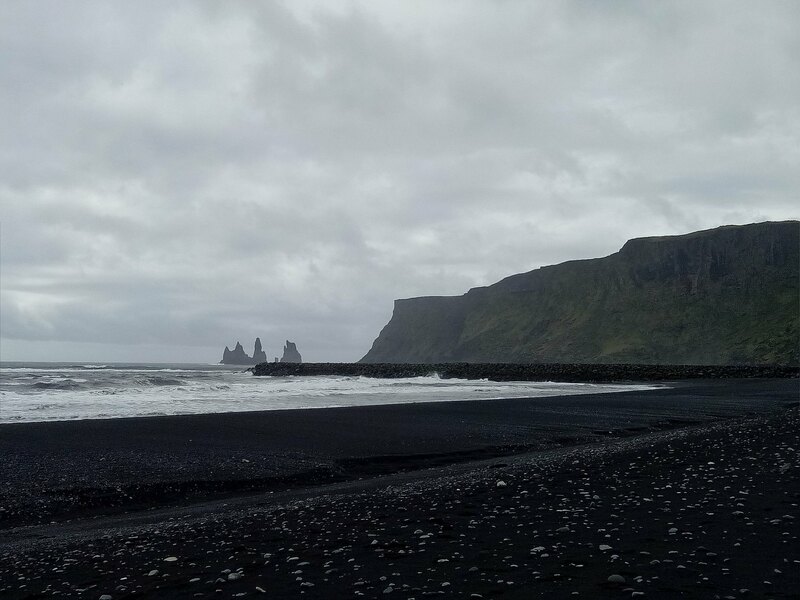 Along the beaches of Vík in Iceland (May 2018). I spent the first half of June back in France, where I invigilated the ratrappage at my school. Aside from that, I was preoccupied with submitting documents to renew my visa, for I’d decided to do a second year as a lectrice. A bit stressful, but I managed. Besides dealing with paperwork, I spent time with friends out in town, as well as hosting an end-of-the-year party in my flat. I also attended Pride in Lyon– it was my first-ever Pride parade, and I really enjoyed it. The music, the dancing, the overall-inclusiveness were elating, and it made me proud to be a part of the LGBT community– definitely plan to attend again this year! Amidst all of these gatherings and events in-and-around the Lyon region, I also somehow hit a low point in my mental health. Strange that it would happen during that time, but I found myself anxious and unhappy, especially right before I left to return to Los Angeles for the summer. It was situational depression kicking in, as I was reflecting on my past spring semester and feeling generally anxious to do it all over again in the fall. Any case, I returned to Los Angeles in the second half of June. I didn’t have much time back home, since my family and I headed off within 48 hours for our annual family vacation, this time to South America. It was my first time on the continent, and we spent the first week visiting Chile. Definitely a new experience, but I liked the large, cosmopolitan aspect of Santiago and the small, enigmatic charm of Easter Island. Plenty of empanadas, ceviche, and Pisco Sours were consumed, and I had a good time. 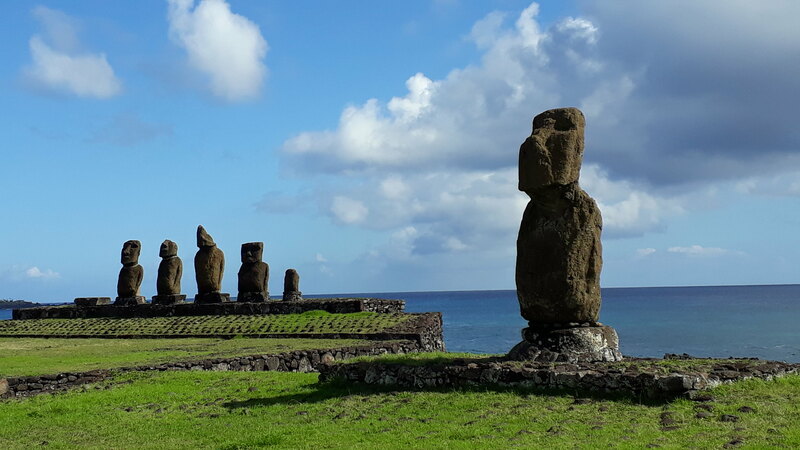 Moai statues on Easter Island (June 2018). Our South American trip trickled into the first few days of July, as we spent the second half in Peru. We had a brief visit of Lima before spending the rest of the time in Cusco, the Sacred Valley of the Incas, and the famous Machu Picchu. 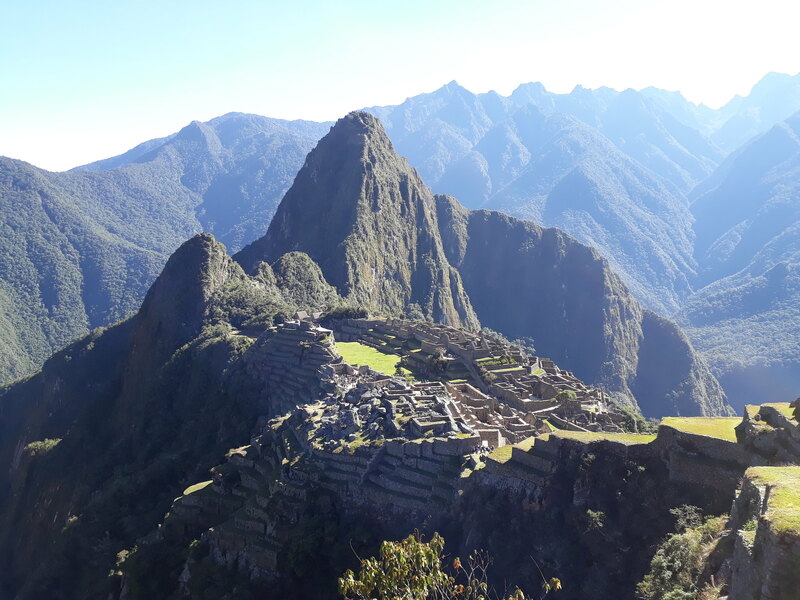 Amidst the effects of being in high altitude, I was wowed by the sweeping landscapes of this sacred area of Peruvian history and culture, and Machu Picchu was certainly a bucket list’s dream. Although I’d barely scratched the surface of my time in Chile and Peru, my two weeks in those countries (and more generally in South America) has fueled my interest to explore them more, along with other countries in South America. *hint* I’ll be back in South America for a short visit this January, so more to come soon! I had a couple of weeks back in Los Angeles after visiting South America. Wasted no time, however, by traveling once more to Colorado to visit my childhood best friend, who was doing her Master’s there. I spent a week in the Boulder area, exploring the city and doing a few day trips with my friend to Garden of the Gods and Rocky Mountains National Park. Considering I haven’t explored as much of my home country (the good, ol’ US of A) as other parts of the world, I was grateful to have visited Colorado, where I reconnected with my friend and felt at peace with myself in a long time. The rest of the month was spent back in Los Angeles, where I spent time with family, hung out with a couple of old friends from school, and ate to my heart’s desire at the many amazing restaurants all over town. I left towards the end of the month to return to France, where I would begin my second year as a lectrice. The first couple of weeks back were tranquil, as I enjoyed the last of my summer while also slowly getting ready for the rentrée. School year started, and I was surprised that I had considerably less students in my classes compared to last year. I was informed that there was a notable selection process (I only teach second years in the fall), so my class sizes averaged 22-25 students. A lot more manageable, and I found that the majority of my students were serious and generally good in English. At least for the first half of the semester, things were going quite smoothly as I completely revamped my curriculum from last year’s and pushed myself (as well as my students) in English. I also spent an extended weekend revisiting the Grenoble region. I got to see Grenoble and Annecy again, as well as visited the château de Vizille and Chambéry for the first time. The summer had been extremely hot, and it carried on into September, which made for incredibly sunny skies and overall a great ambiance. It was a pleasant break early on, as means of keeping me in good spirits as the rest of the semester carried on. As semesters go, the second half saw a notable shift in classroom atmosphere. A similar thing happened last year around the same time, as I noticed my students became less energetic and more exhausted following the midterm. Can’t blame them personally, but I did start to find it difficult to keep morale up, not just with them, but also myself. I was ready to be on holiday again, let alone be done with the school year. October was also a pretty stressful month in terms of housing. Upon returning in August, I chose to remain in the same colocation that I’d stayed in the previous year– however, I soon decided to find my own place to live, for the new roommates who’d arrived in September and I were, as I’m putting it nicely, incompatible. I knew that I would be very unhappy if I were to stick it out with them the entire year, so I decided to move out. It was a stressful few weeks of finding a new flat, signing the lease, moving my belongings, and settling in. I found a studio and, while not perfect, it’s a lot better from before, and I get the place all to myself! The October vacances came soon enough. Similar to the previous year, I kept my week-long holiday in France. I spent a short weekend in Lyon before heading back to Paris where I essentially ate my way throughout my stay– I discovered a lot of great restaurants, some of which I plan to return to next time I go back. Also did day trips to château de Chenonceau and Reims, which were lovely. Spent my last night out in Paris, taking in the nightlife and meeting awesome people I want to see again. 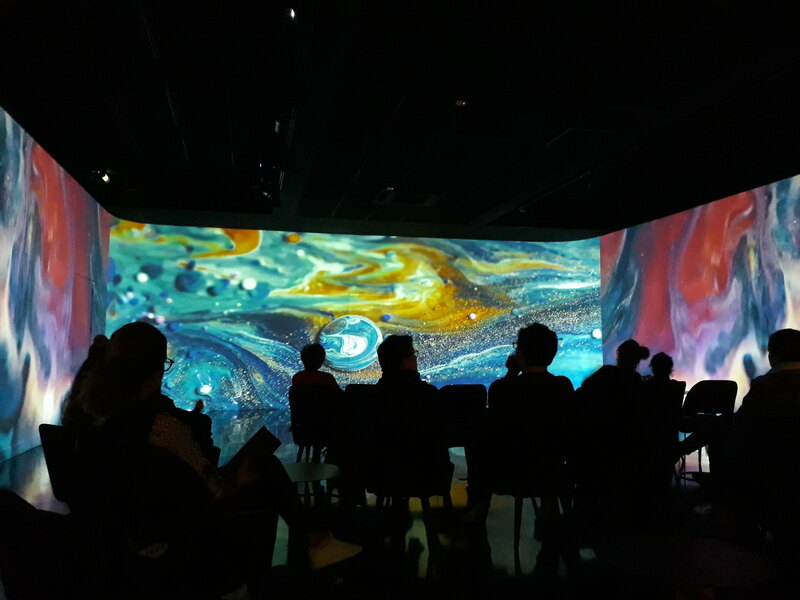 Gustav Klimt exhibition at the Atelier des Lumières in Paris (October 2018). I buckled down for the last two weeks of the semester and, after giving final exams, I was done in mid-November. Even if there were bumps in the road throughout, I can say that my fall semester this year went a lot smoother than my last. I had a better idea of what I was doing, and the students were generally more-motivated and better in English. Of course, it wasn’t perfect, nor did I feel very happy at the end of it, but I can say that it has been an improvement. Following the end of the semester, I headed out on my third (maybe fourth?) *epic* travel for the year, this time to Malta. I spent about a week on the island-nation near Sicily– I admit, I didn’t know much about it before I went, but I learned along the way. 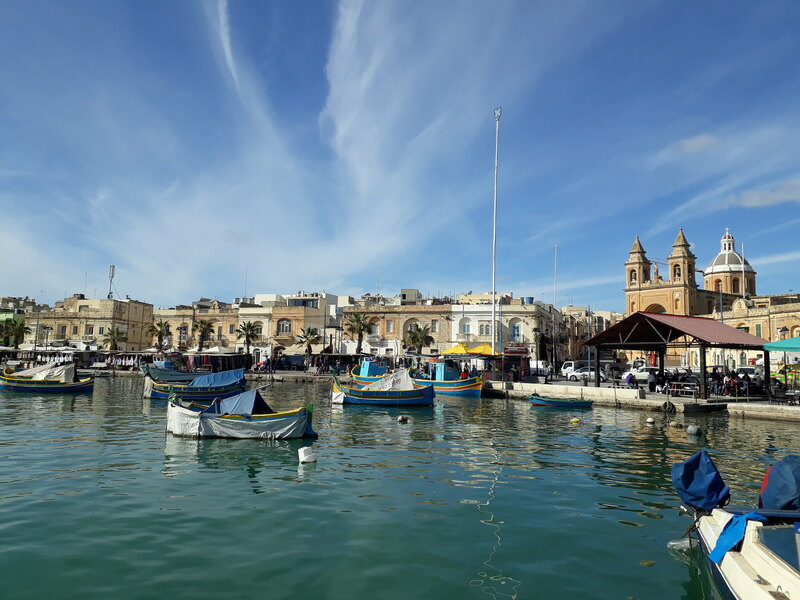 Generally, I found the trip to be pleasant, even if slightly underwhelming– don’t get me wrong, Malta is a beautiful country, but in terms of sightseeing, there isn’t as much compared with other places I’ve been to. I’ll save my recap on it in later posts, but overall, I’m glad to have visited, even if I wouldn’t choose to revisit it. After Malta, I headed back to France, where I spent another week in Strasbourg visiting a friend while also checking out the famous Christmas markets and exploring the Alsace region. It’d been three years since I last visited Strasbourg for the Christmas markets, and I was happy to be back. I found the markets much more festive compared with the last time I went (which had been right after the Paris terrorist attacks), and the day trips to other Alsatian towns (Colmar, Eguisheim, Riquewihr, Ribeauvillé) and Basel in Switzerland were enough to put me in festive cheer. I returned to my city in France where I had about a week’s rest before packing my bags once more to Lyon for the fête des Lumières. Just as I’d done in the previous years, I split an Airbnb with other people (mostly assistantes) and enjoyed the light exhibitions each night. I’ll be honest and say that I didn’t find them as extraordinary as those from the previous year, but they were still gorgeous. Considering that this will probably be my last year in France, I was glad to see the fête des Lumières in all of its glory. After the long weekend in Lyon, I headed directly to Paris where I took a flight back to Los Angeles for the winter holidays. It’d been four years since I last spent Christmas and New Years at home in the United States, and it was a bit strange to return. Originally, I hadn’t planned on doing so, but it happened, and it was good to return to spend time with family and friends. Aside from dealing with some paperwork and other domestic affairs, I found time to relax at home and eat plenty of delicious food! 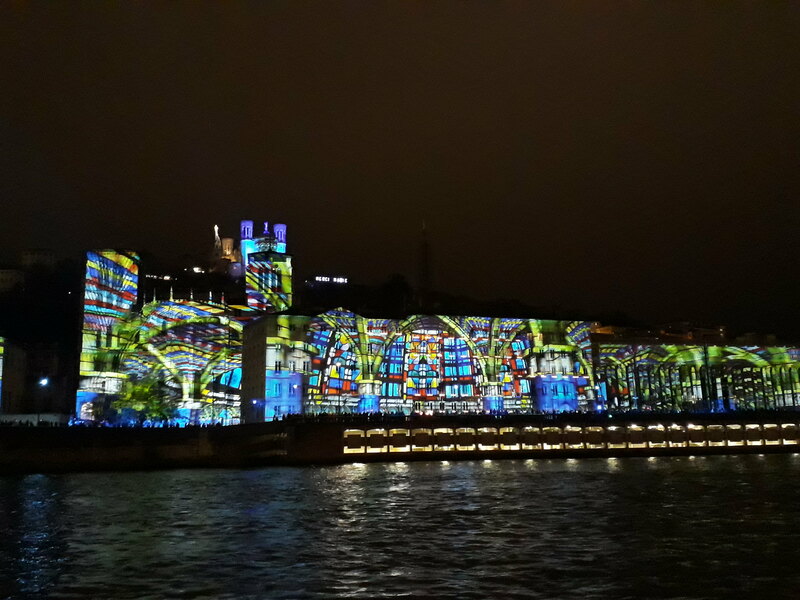 “Reflets” at the fête des Lumières (December 2018). …and there you have it! My 2018 year in review. As I wrote, I got to travel so much this year and see so many new countries, cultures, and people. It was also a time of challenges, as I went through a “quarter-life crisis” and had back-and-forth thoughts of leaving France after my contract ends this August. 2018 has certainly been a roller-coaster, and I do hope that I can figure things out for a smoother year. While not guaranteed, I hope to have the courage to make it through work, travel, and wherever the future takes me afterwards. Thanks for reading, and I wish you another year filled with adventure, happiness, and plenty of personal growth. Until later! You’ve had a lot of amazing travels this year! Here’s to a great start to 2019! Thanks, Dana. Likewise to you! 2018 really was a travel-packed year for you! Somehow seeing it all in a month-by-month breakdown really shows you how much you’ve done in a year. Look forward to hearing about your latest trip to South America 🙂 Happy New Year, and safe travels! Looking back, I’m even surprised that I traveled that much! Breaking it down month-by-month shows just how many things happen over the course of the year. I’ll be writing about my adventures from this month soon (at this point, my travel posts are set for at least until March!). Happy New Year to you, too! It really does – it’s so easy to forget just how much you did over the course of a year! You’re so organised – I used to always have a blog post in hand, but I’ve really let things slide on the scheduling front over the last year. I just can’t bring myself to spend my evenings on my laptop after a whole day of that at work!